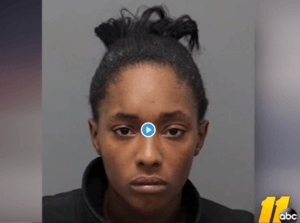 A Raleigh mother has been arrested after she posted a video of her baby inhaling marijuana on Facebook. Steven Saad appeared on the 10:00 news last night on ABC-11 discussing the charges against Brianna Ashanti Lofton including 2 counts of felony abuse, contributing to the delinquency and possession of marijuana. In the interview, Saad also explains what you should do if you witness a crime on social media. Click here to read the full article. Previous Previous post: Can Police Use Information from Your Google Account to Name You as a Suspect? Steven Saad is the best young lawyer in town. He and his staff are very professional and he works magic. Sometimes friends of mine and myself don’t understand how he does it but we are always very pleased with the results! Mr. Saad has gotten me out of seemingly impossible cases, would recommend to anybody wanting to get the best results on their case or ticket. Mr. Saad is accommodating, reliable, upfront, thorough, and proactive. He made me aware of all options before we chose what was best for me considering the issues I had run into. He is professional, punctual, understanding, and a fantastic communicator. I highly recommend that you hire Steven Saad as your attorney- you will not be disappointed. Attorney Saad was professional and compassionate. His office quickly responded to all of my requests and concerns. I am very grateful for his assistance in my legal matter and would highly recommend him to anyone. Mr Saad got my case dismissed in one Court appearance he is the best and I’m glad I chose him to be my attorney he says true to his word. Copyright 2018, Saad Law. All Rights Reserved.